We have seen a lot of developments on search engine optimization in 2018. We expect that there’s a lot to look forward to 2019. 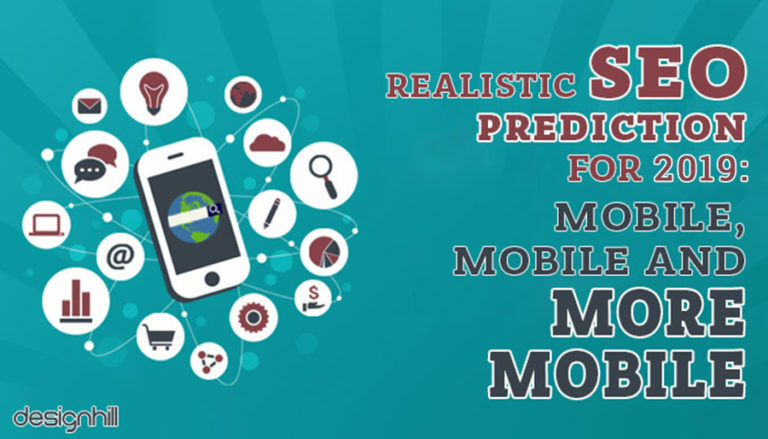 With the current trends, we believe that SEO will continue to focus on mobile platforms. We believe that SEO developments would heavily focus on mobile in 2019. Google has been very transparent in telling that its focus would be on mobile search, and from this we can tell that the entire industry will revolve on changing how mobile search works. Don’t worry, these predictions will not include the forever haunting ‘SEO is dead’ proclamation, nor that theory that links might be useless in 2019. Google announced on November 4, 2016, that their index will prioritize mobile. This is in consideration that most people do their search activities through mobile devices. Searching via desktop is not as prevalent as it was before, and it is expected that the dominance of mobile will continue. Can you believe that there is almost a 2:1 ratio for mobile search and desktop search nowadays? This being the case, Google understands that there is a need for it to prioritize its algorithms the mobile version of sites. Ranking of sites will be done in primary consideration of the experience that mobile searchers will have. Google further stated that more experiments would be conducted in order to improve the user experience of mobile searchers. Google recommends that webmasters take the effort in improving their mobile websites so that they won’t get left behind. And for those who still don’t have mobile websites, there’s no better time than now to start! If the content and markup is equivalent on both platforms, then there’s nothing to worry. Sit back, relax, and enjoy! Evaluate your desktop and mobile’s configuration through the Structured Data Testing Tool. Compare results and make sure that your markup is the same, vice versa. To check if your mobile site can be crawled by Googlebot, use the robots.txt testing tool in the Search Console. Just add your site’s mobile version in the Search Console. No problem! Google will just index your site just fine. Although, it is time for you to consider building a mobile version of your website. If you’re more on content publication such as blogging, try the next item on this list! (Google AMP). Google Accelerated Mobile Pages or Google AMP was introduced in 2015 as the answer to a better search experience for mobile users. Google AMP makes page rendering almost instant for mobile devices, contrary to how regular pages load now on mobile browsers. It was already launched in 2016, primarily for publishers. AMP allows the speedier rendering of sites, leading to a better user experience. Google is already putting AMP pages on the top stories section of Google’s search engine results page (SERP), as well as providing support for AMP-friendly forms. Publishers were the first beneficiaries of Google AMP; in 2019, it is expected that AMP-support would be given for more sites and that there would be more acceptance of this initiative to provide a faster search experience for mobile users. Popular CMS platforms like WordPress has available plugins that can make your content AMP-ready with just a few tweaks! Design – Build your website pages while following the guidelines set in the AMP guidelines. There are some restrictions set in the HTML code that is shown in their step-by-step guide that you or your developer can follow. These restrictions are necessary to deliver the content as fast as it promised. Discovery – It’s fairly easy to make your new AMP discoverable. Google will detect your AMPs with the help of . The principle is same for canonical URLs, only you’re tagging both URLs and defining which is the non-AMP version and the AMP version of the page. Structured data – Again, Structured Data or Schema Markup is important to help show your content in the search results distinctively. This can even boost your content to the AMP carousel in the SERPs, gaining visibility for your website. Status – Check your Search Console for errors through the AMP report. You can check the errors by page, too. Google is expecting that users will embrace the Google AMP initiative so website owners should consider transitioning to it. Before Google AMP, Facebook started the fast loading content movement. While it loads content lightning fast, it is different from Google AMP. Google AMP loads the web page through its own website, but Facebook Instant Article loads the article within the Facebook app. Google is exerting effort in improving its semantic matching algorithm especially through Google Hummingbird. This initiative will improve how Google will process and analyze complex queries, especially those that where context is needed to be understood to come up with the right answer. The goal of Google Hummingbird is simple: to ensure that answers to any given query will be relevant, even for those queries that we think would be too complicated for Google to understand. Google Hummingbird would be a huge leap from the previous algorithm called Caffeine. Unlike Caffeine, Hummingbird would be able to provide relevant answers to long questions that Caffeine cannot accurately answer. With Google Hummingbird, ranking would give more consideration to relevance, and that would make a lot sense. Voice search is probably one of the most underappreciated concept when it comes to mobile search. But this underrated idea actually has potential – just imagine how easier it would be if you wouldn’t have to type and that all you need to do is to say something and your phone can search it for you. This is not entirely a new idea as mobile voice search has been around for a while. However, a lot of improvement is needed so that doing mobile voice search would yield to more accurate and more relevant results. Considering that semantics is receiving a lot of attention from Google, we can expect that accuracy of voice search will also be given much consideration. Sooner or later, your phone will be able to more accurately interpret your voice search and look for relevant answers. True enough, we can expect a lot of developments on SEO for 2019, with a majority of such developments and SEO hacks being related to mobile. From new ranking factors, to new algorithms, to new initiatives, Google sure has a lot in store for mobile next year! As Little Giant Web Design would put it, “Put users first, exude passion, INNOVATE… go above and beyond, be transparent, stay humble, and make it fun.” With that, let’s all look forward to 2019 and let the year’s surprises unravel before our very eyes. Henry Hernandez is the leading strategist for Texas Digital, a Dallas SEO Digital Inbound Marketing Agency. Texas Digital aims to take your digital marketing strategy to the next level by bringing in a holistic approach to sustained growth in market saturation.